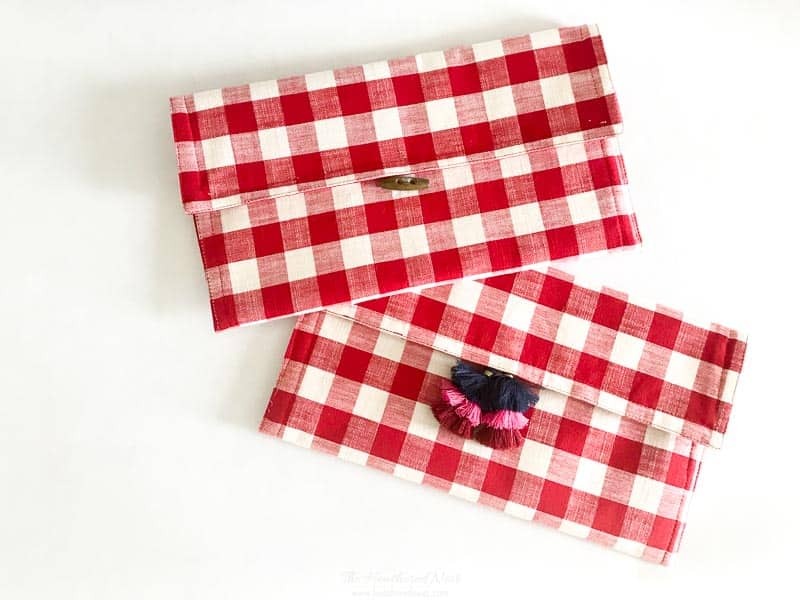 Do your kids use a footstool at home? 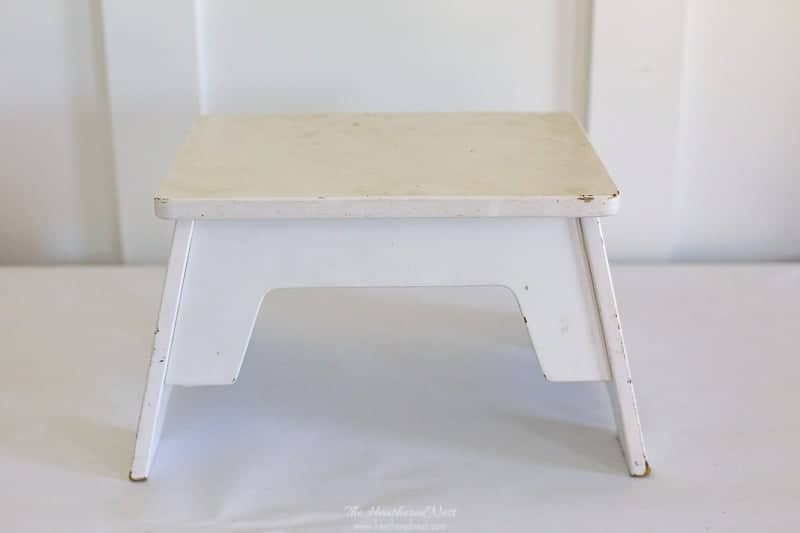 Has that step stool seen better days? Our little ones have a couple footstools in their bathroom. And they were looking a little worse for the wear. 1). 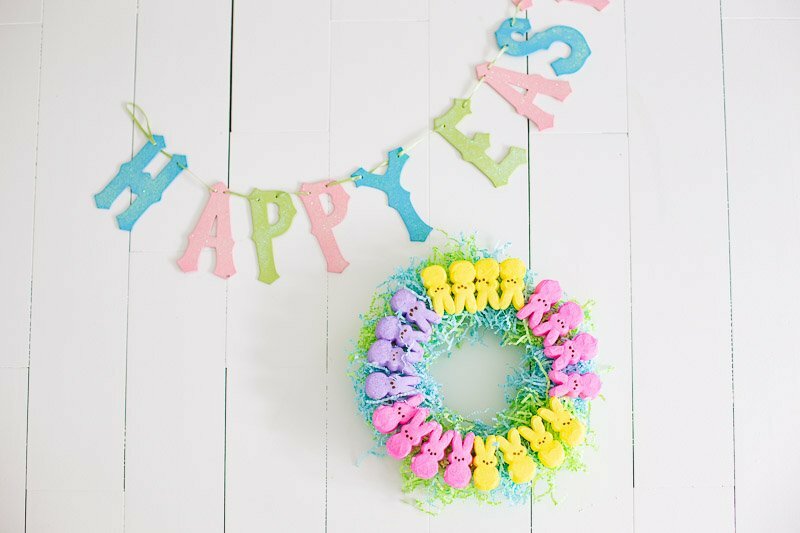 Make a gazillion pom poms. Maybe not a gazillion. 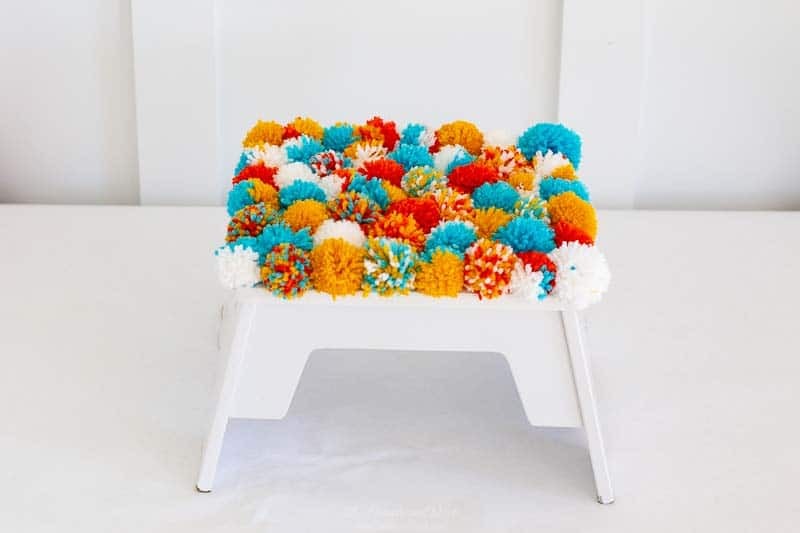 But for a footstool that is the size of ours (about 12″ x 10″), I used about 40 pom poms per stool. This is NOT a quick process. I suggest plunking yourself on the sofa after the kids are in bed (finally! ), with some wine, or possibly ice cream. 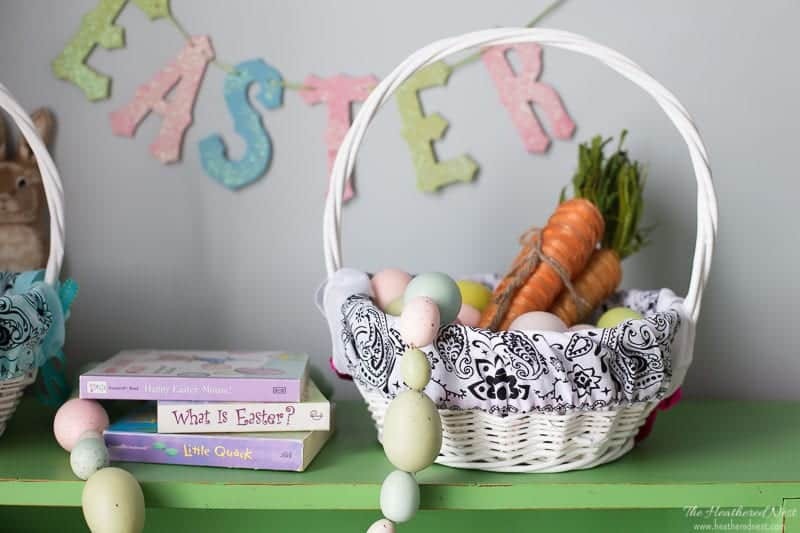 Then grab your pom pom maker and yarn. 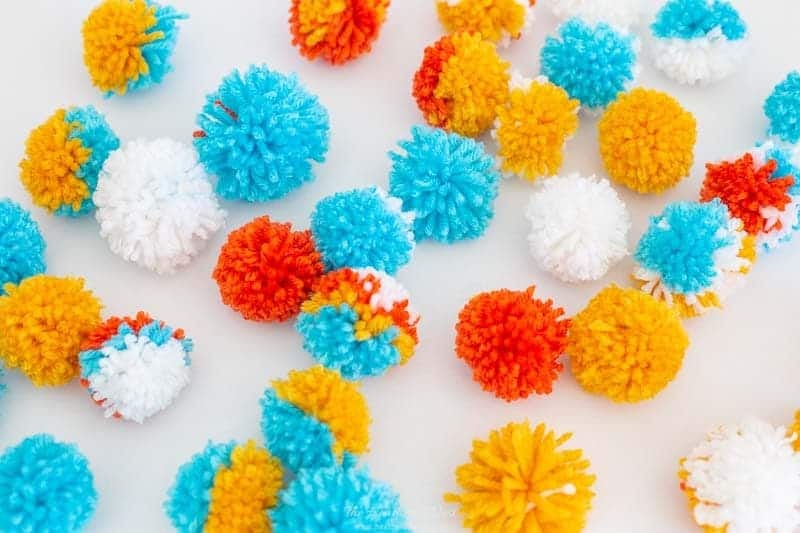 While you’re binging Highlander or Victoria or something of the sort, just make some pom poms. It will take at least a couple episodes to complete enough pom poms to make a stool. It’s an awesome excuse to make your partner do the dishes. “Sorry honey, I really need to finish these pom poms,” said while snickering and enjoying another spoonful of ice cream 😉. And I wrote a review post about each method and which ones are best for certain projects. 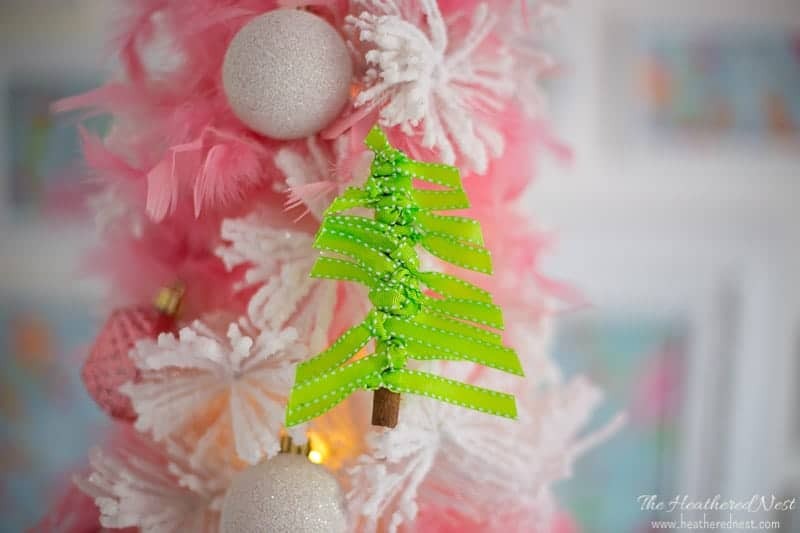 For this project, I’d highly recommend going with the pom pom maker. 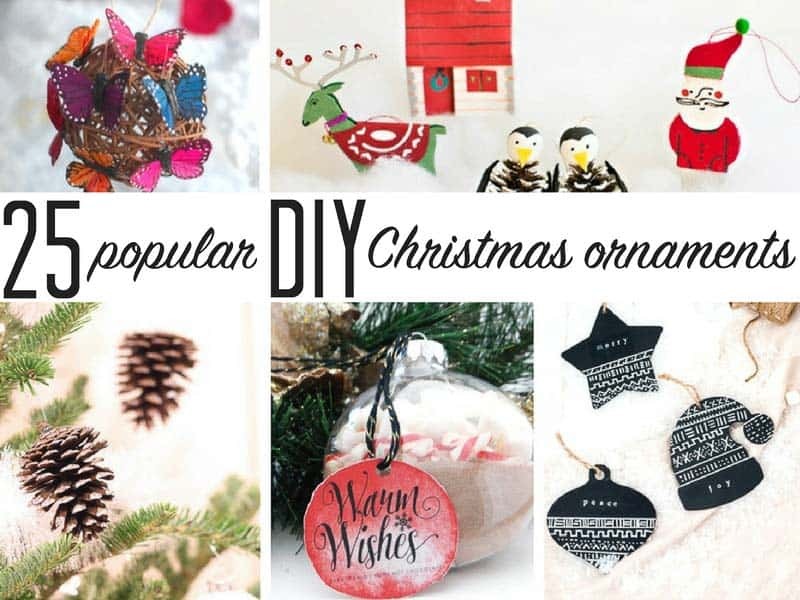 It’s quick, easy, and will make uniformly sized pom poms. 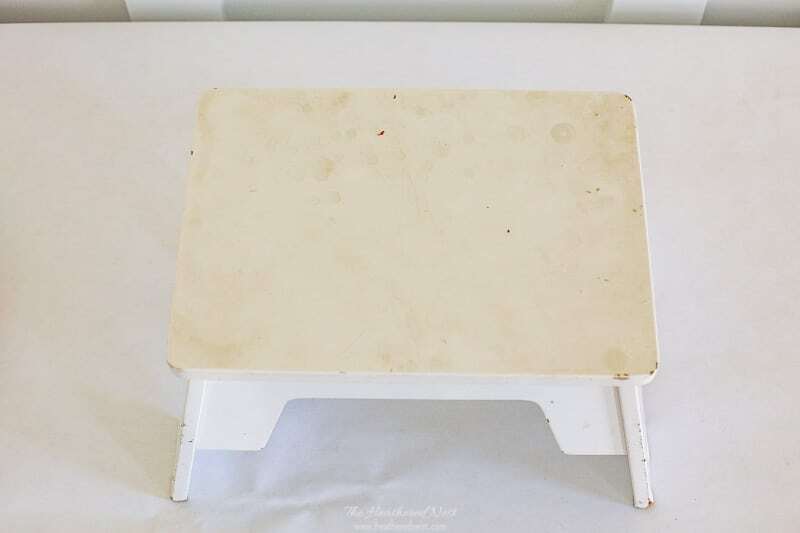 The only reason I even thought to do this little footstool project is that the kids’ bathroom footstools were getting grody with a capital G. I cleaned them off with 3 different products to no avail. Covering the tops with pom poms was done mostly for my own benefit (I wanted to trick myself into believing they were clean), but also because it’s more comfy to stand on something soft and fluffy instead of cold and hard, right? 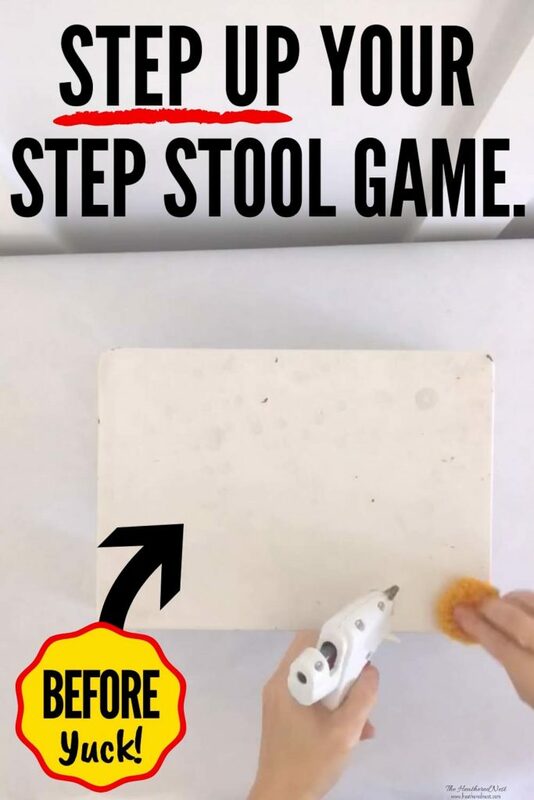 So if you’re using a used stool, just give it a quick dusting, Clorox-wiping or what-have-you. Then you can feel better about moving to step #3. 3.) Hot glue the heck out of those poms. Yep. 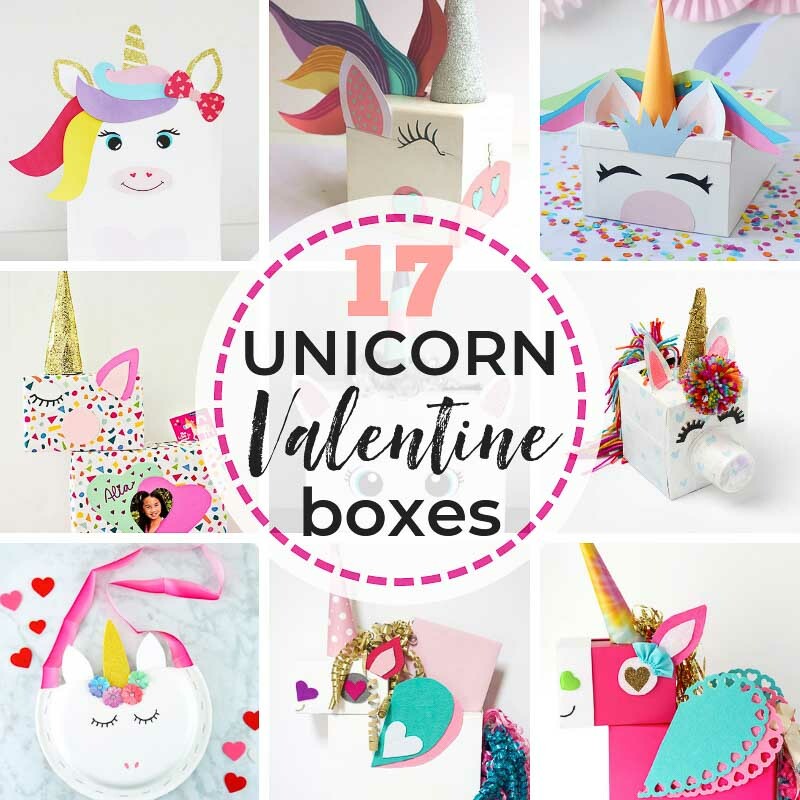 Grab your glue gun and heat that sucker up. 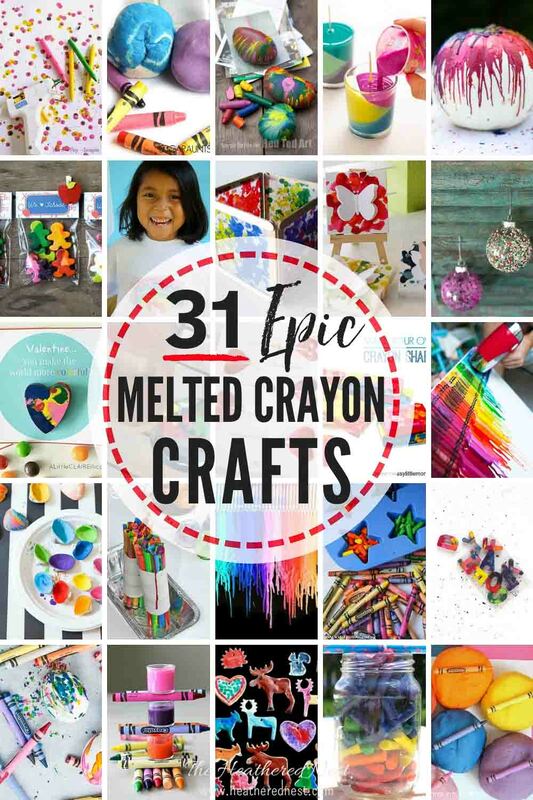 Just hot glue them onto the stool. 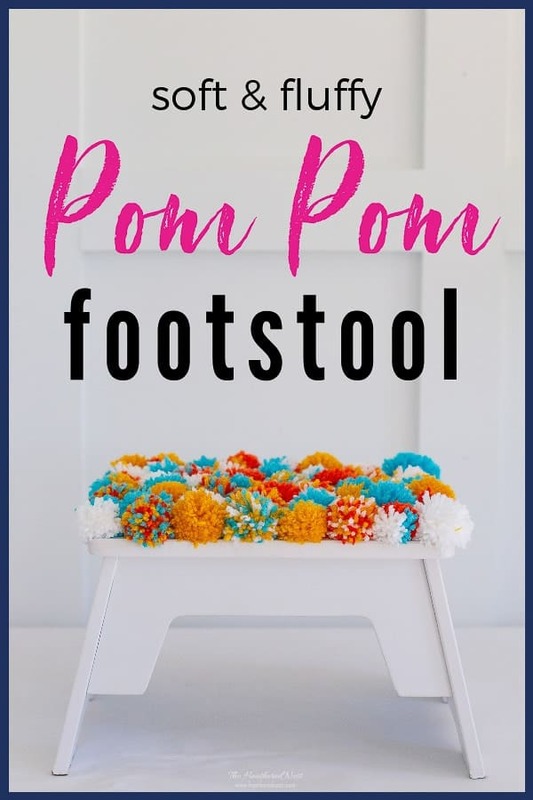 Pay particular attention to REALLY secure the pom poms on the perimeter of the stool. Those will be the first to get loose or fall off if they do that. And that’s it, guys! 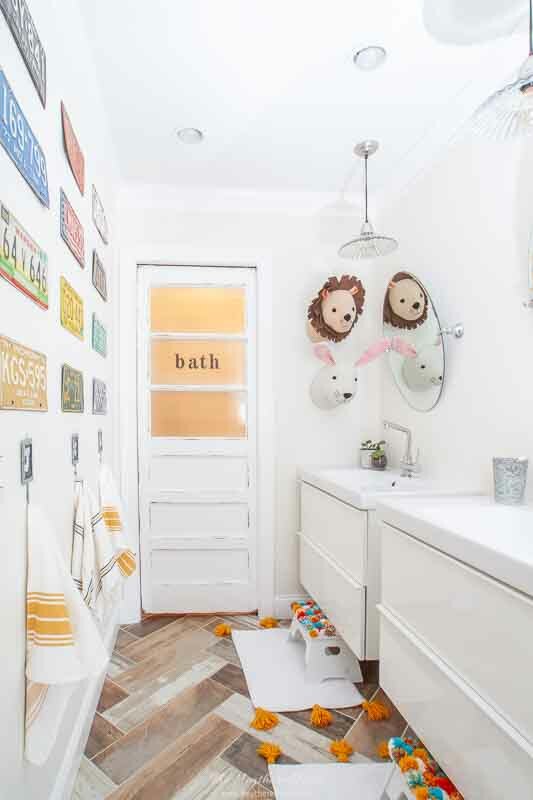 These turn out so cute, and my three LOVE having these fun, colorful, soft and fluffy footstools in their bathroom. 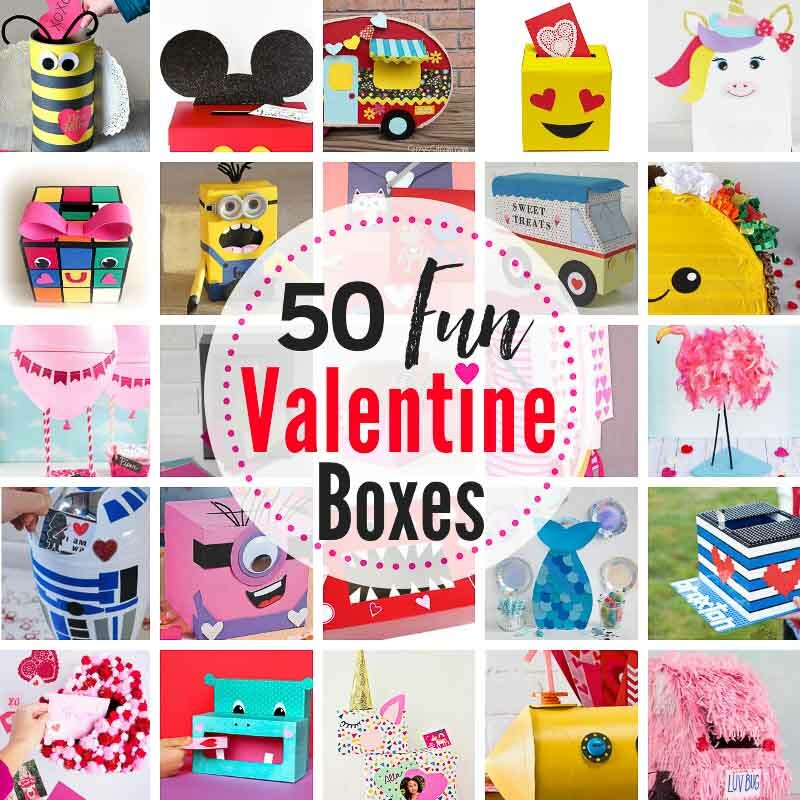 Hope your kids will love them, too! 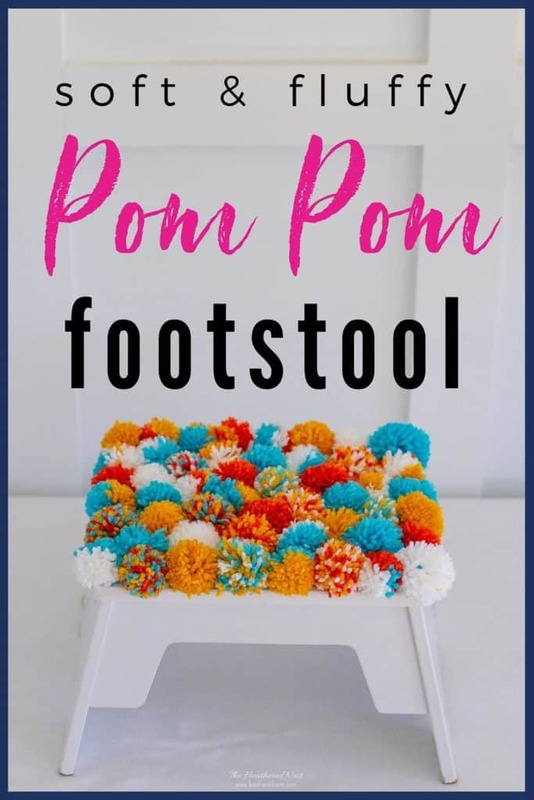 Pin this DIY pom pom footstool post for later! And if you make one, leave a comment (or better yet, a photo) on the pin! That helps others know whether they want to try this project, too!